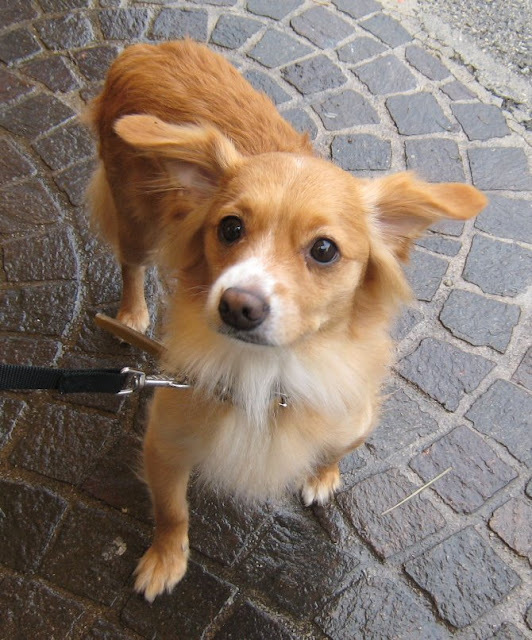 This is Johnny, a gorgeous little cross-breed - his owner told me half Papillon. 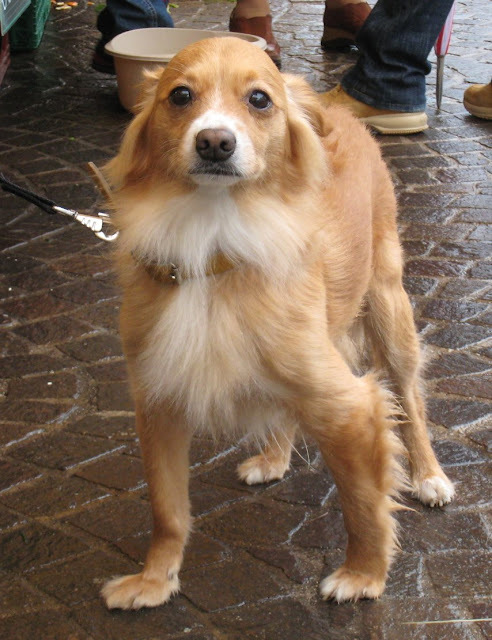 He's 6 years old and is owned by a charming gentleman who was born in Menton and works at the Casino in Monte Carlo. He lived for 10 years in Australia so spoke excellent English. 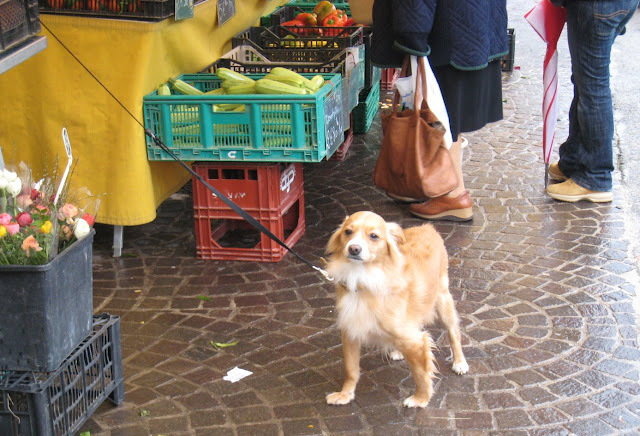 This photograph was taken in the tiny market of Carnoles, which is part of Roquebrune-cap-Martin. Look at that oh-so-earnest look in his eye. And see what he can do with his ears?